Mouse anti human ELAVL1 antibody recognizes ELAV-like RNA binding protein 1, also known as ELAV (embryonic lethal, abnormal vision, or abnormal vision, drosophila, homolog-like 1, hu-antigen R. This antibody has been extensively validated for western blotting using whole cell lysates. Mouse anti Human ELAVL1 antibody recognizes ELAVL1, also known as ELAV (embryonic lethal, abnormal vision, Drosophila)-like 1 (Hu antigen R), ELAV-like protein 1, Hu antigen R, embryonic lethal and abnormal vision, drosophila, homolog-like 1, hu-antigen R.
The protein encoded by ELAVL1 gene is a member of the ELAVL family of RNA-binding proteins that contain several RNA recognition motifs, and selectively bind AU-rich elements (AREs) found in the 3' untranslated regions of mRNAs. AREs signal degradation of mRNAs as a means to regulate gene expression, thus by binding AREs, the ELAVL family of proteins play a role in stabilizing ARE-containing mRNAs. ELAVL1 has been implicated in a variety of biological processes and has been linked to a number of diseases, including cancer. It is highly expressed in many cancers, and could be potentially useful in cancer diagnosis, prognosis, and therapy (provided by RefSeq, Sep 2012). 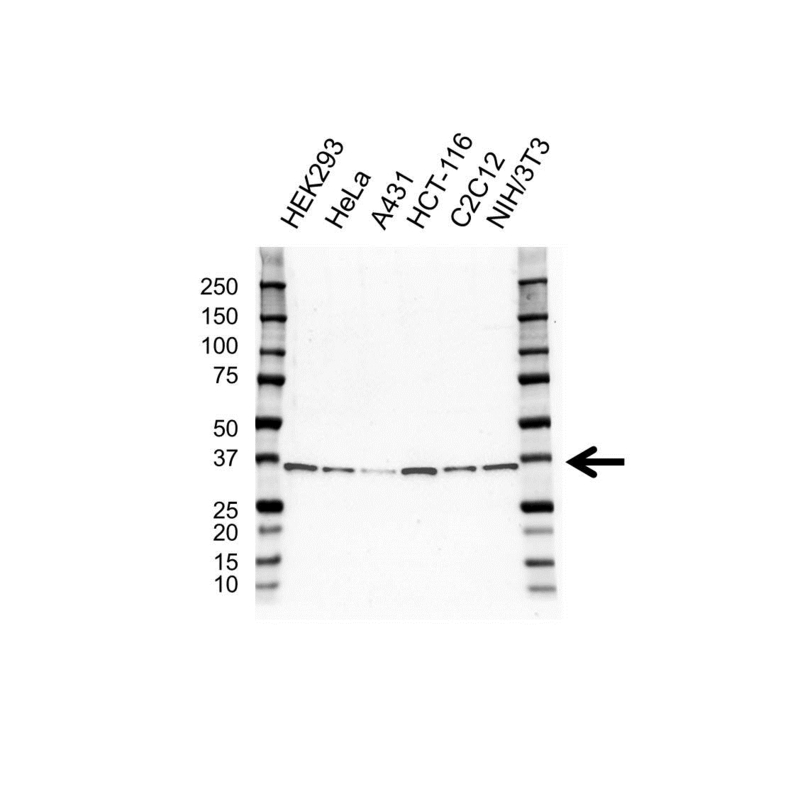 Mouse anti Human ELAVL1 antibody detects a band of 36 kDa. The antibody has been extensively validated for western blotting using whole cell lysates.